At this point, I've already reviewed more than a couple of Tronsmart cables from a dedicated Lightning cable with the Tronsmart LTA up to a dedicated USB C cable with the Tronsmart ATC, but what we have today might be the only cable you're going to need. 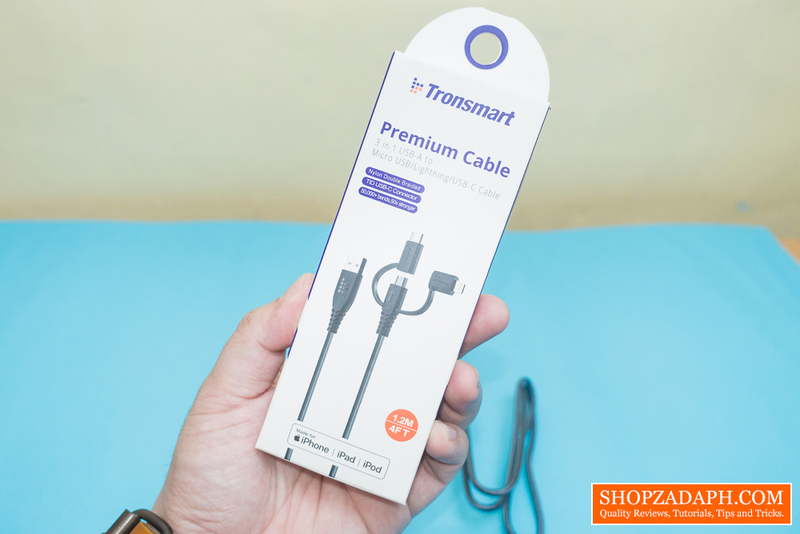 The Tronsmart LAC10 is a 3 in 1 cable that primarily is a micro USB cable but with adapters for both lightning and USB Type C. So basically with this, you can pretty much charge all types of devices with a single cable. 50 times stronger than other conventional cables. Premium & strong materials coupled with triple shield protection technology ensures long-lasting performance. 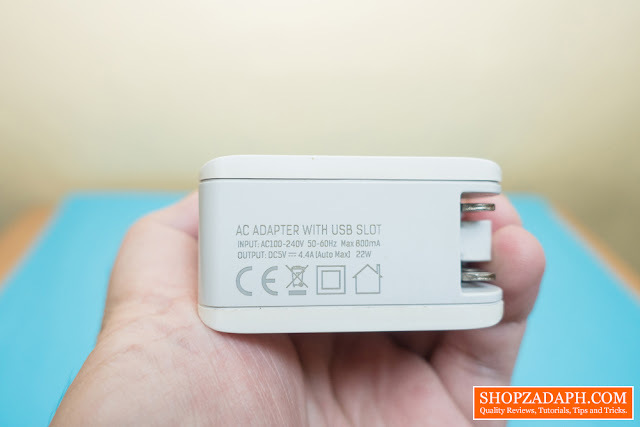 Compatible with Android, Apple and USB-C smartphones, tablets and other devices. 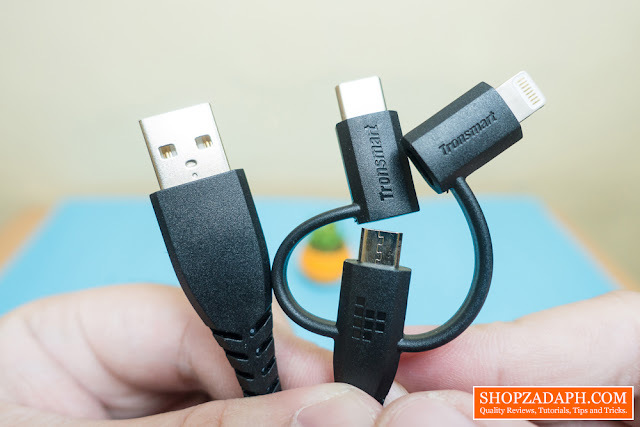 In terms of design and construction, it's basically the same as the Tronsmart LTA Lightning Cable but a little bit better. 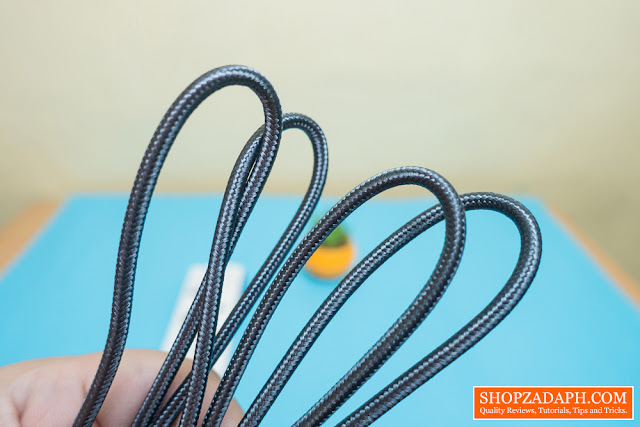 It has the same double braided nylon exterior protection but this time, it has shielded tinned copper braid protection inside as well as aluminum foil. Inside the various protections lies the 28AWG data wire and the 21AWG power line. The cable is very thick as you can see and it has the same velcro strap to keep it intact while you stow it away inside your bag or whatnot. 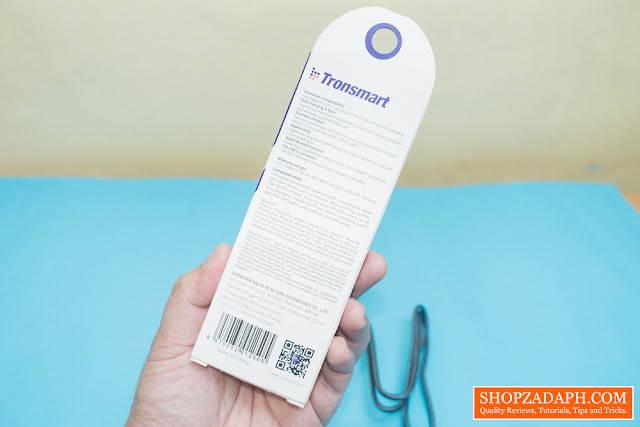 Instead of using two materials for the connection head protection like what we saw on the Tronsmart LTA Lightning Cable and the Tronsmart ATC USB C Cable, The Tronsmart LAC10 features a unibody semi-flexible shell for protection. 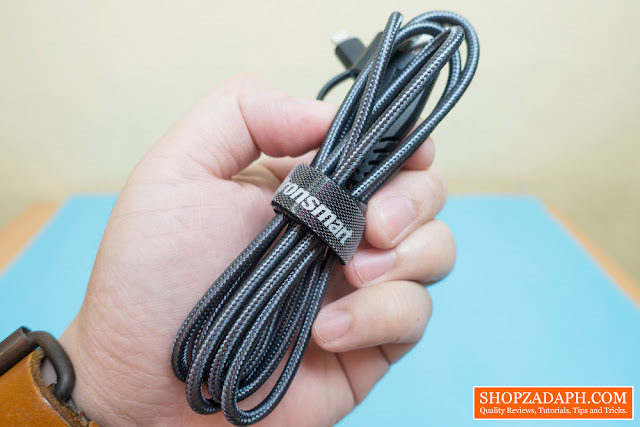 This cable according to Tronsamart is rated up to 50,000+ bend lifespan which I think is ridiculous but at the same time, gives you that confidence about how durable it is. 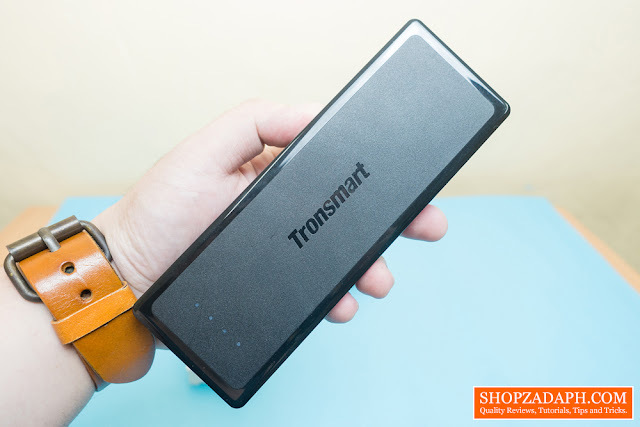 As I've mentioned, the Tronsmart LAC10 has pretty much everything you need. A USB Type A to micro USB with an adapter to USB Type C and even an adapter to Lightning. 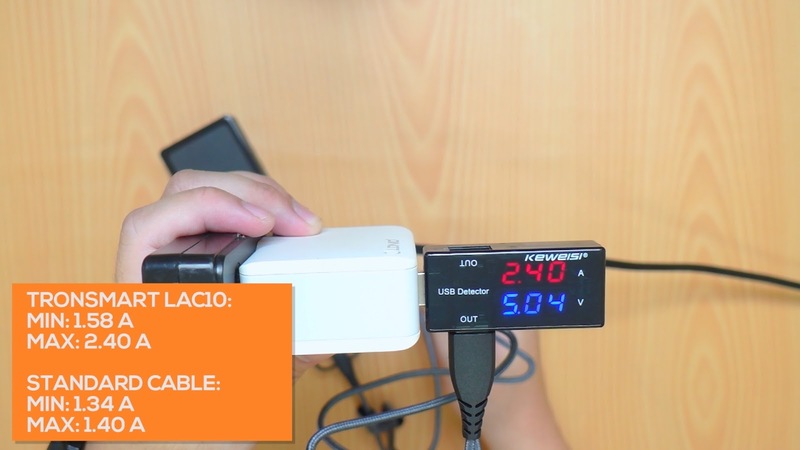 In terms of performance, these cool protections and nifty adapters will not save the Tronsmart LAC10 from being overlooked considering its price if it performed abysmally. Luckily, as per my testing, It didn't look so bad at all. 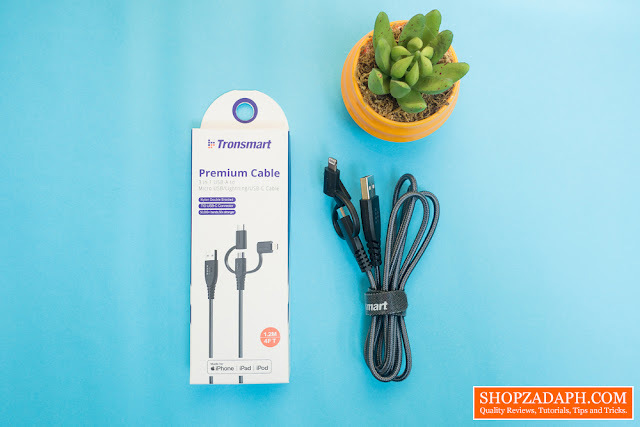 And for our test subject, as with all the other testing that I've done with Tronsmart Cables, I recharged the Tronsmart PBT12 via its USB Type C Input port that can accept up to 3A. Using a standard cable I was only able to get a maximum of 1.4A which is only half the current that the power bank can receive. 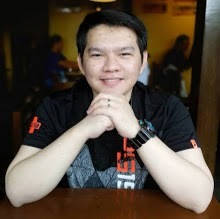 Using the Tronsmart LAC10 on the other hand, I was able to get a decent 2.40A which is a little closer to the maximum 3A that the Tronsmart PBT12 can handle. 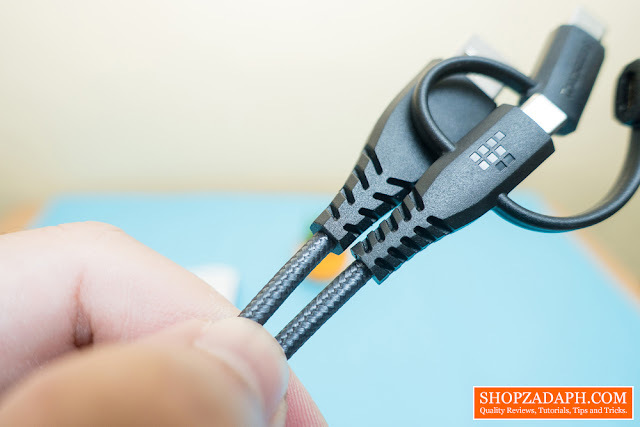 The Tronsmart LAC10 is the swiss army knife of charging cables, it's durable, it supports fast charging and more importantly, it has everything you need to charge most of the available devices out there. 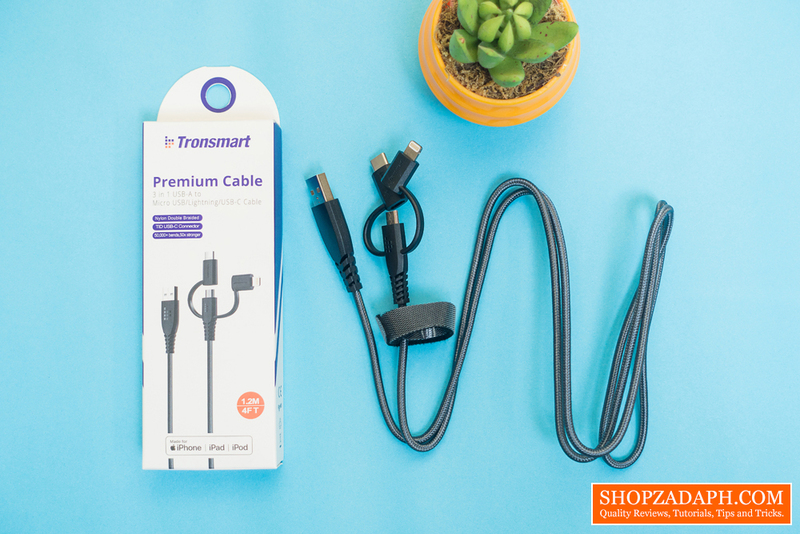 The only thing you're missing is a dedicated USB Type C to Type C cable. 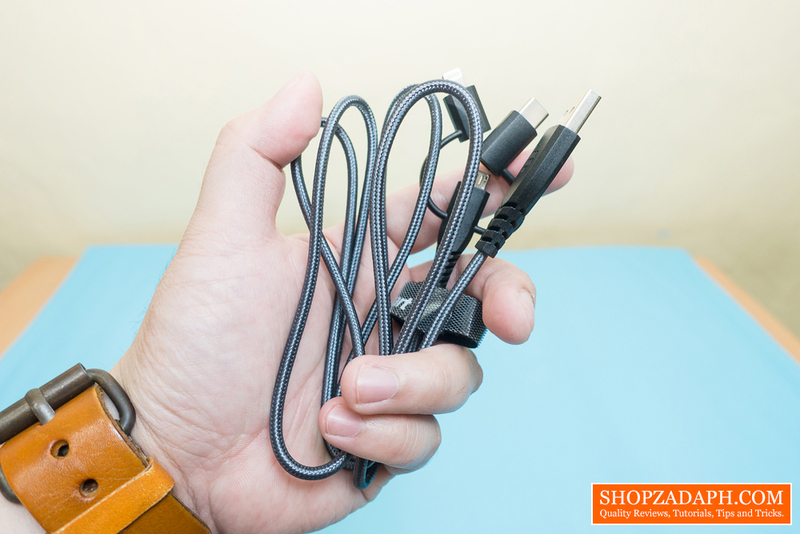 Other than that, this is pretty much the only thing you need to carry alongside your devices and of course, a decent power bank like the Tronsmart PBT12 or Tronsmart PBT10.